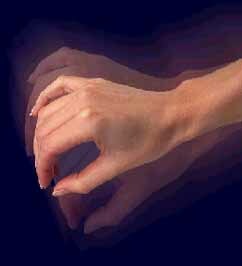 In essential or familial tremor, the movement disorder is the only aspect of the disease. The only difference between essential tremor and familial tremor is that in the latter, there is a family history with tremor being present in other generations, whereas in essential tremor, there is not. The actual tremor itself is identical in both conditions. 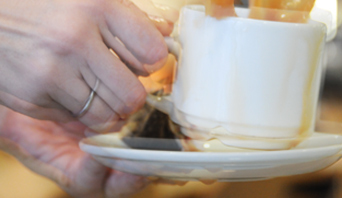 In essential or familial tremor, the hands and arms are usually quiet at rest, but if the patient attempts to perform a task, such as picking up a glass of water or writing, then the tremor becomes very noticeable. 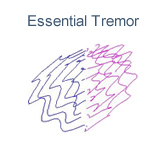 Tremor can sometimes involve the head and neck and also sometimes involves the legs. Tremor interferes with many normal activities. ET is due to abnormal communication between certain areas of the brain, including the cerebellum, thalamus and brain stem. In the majority of people, ET is inherited. Each child of a parent with ET has a 50 percent chance of inheriting it. Medications are available for initial treatment of movement disorders. In general, surgical treatment of any kind, including Gamma Knife Radiosurgery, is usually reserved for patients whose symptoms cannot be effectively controlled with medications. Various forms of surgical treatment are available to control Tremors when medications are ineffective. The surgical procedures available generally fall into two categories: 1) ablative or destructive procedures such as thalamotomy or pallidotomy, and 2) stimulation procedures performed by the implantation of stimulating electrodes within the brain.